5 Ways to Power Through Your Midday Slump! The skinny coffee drink and muffin seem to do the trick for a while. You are alert, make it through your 3pm meeting and are rounding the corner for home. However, with the whole evening before you, the drain hits again. Your energy levels begin to plummet, and you figure you had better stop at the store for a quick pick-me-up before you get home. After all, you have so much to do tonight. You grab a bag of chips and a soda, convincing yourself that you will walk them off later on the treadmill. Why does this same pattern seem to happen day after day? For many people, there is a definite drop in energy levels between 1-3pm. Experts note that our bodies may actually be programmed to need an afternoon nap. Circadian rhythms controlled by an internal clock, affect a host of bodily functions. These functions include our metabolism, our appetite and energy levels, in addition to our sleeping and waking patterns. Other factors such as lack of sleep, stress and dietary habits all affect our energy levels throughout the day. Many things can be done to supply the body with a constant source of energy all day long. Never skip lunch – This is a big no, no. When you skip lunch, your blood sugar levels drop and will remain low throughout the afternoon leaving you tired, irritable and unfocused. Soon the munchies set in, and you head for the vending machine for something sweet. Always eat a balanced midday meal. Eat protein at lunch – Foods high in protein such as beans, tuna and chicken, will block the production of serotonin or increase two other hormones, dopamine and norepinephrine which increase feelings of alertness. Drink water – Stay hydrated throughout the day. Being just a little dehydrated will make you feel sleepy. Keep a bottle of water with you at all times. Exercise – If possible, exercise at lunch. Even a quick walk around the block will help increase alertness. Breathe deeply – When breathing is shallow we do not provide enough oxygen to the body, and we can become listless. Take few minutes each day to focus on breathing in through the nose and out through the mouth. You will supercharge the body and help you feel refreshed. 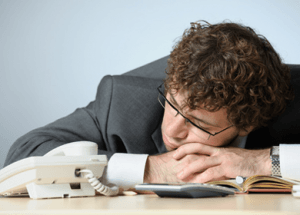 Hey Buddy!, I found this information for you: "5 Ways to Power Through Your Midday Slump!". Here is the website link: https://www.thealternativedaily.com/5-ways-to-power-through-your-midday-slump/. Thank you.